Blog I Heard Jason Gray! You can enter multiple times a day for more chances to win, AS LONG as your entry is received within the window of Jason Gray playing! 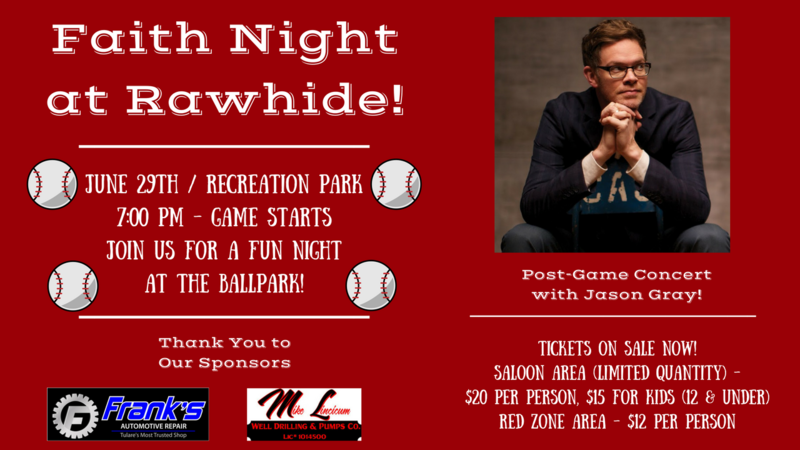 Click here to find out more about FAITH NIGHT w/ Jason Gray and get tickets to the Rawhide RED ZONE or SALOON!